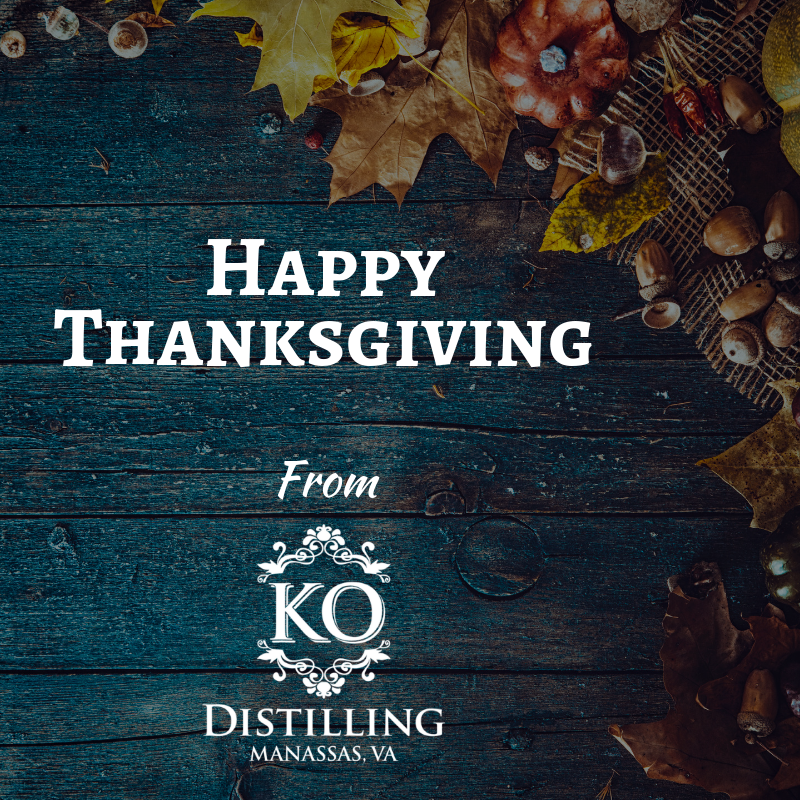 Happy Thanksgiving from KO Distilling. We will be CLOSED on 11/22/18. We hope to see you this Black Friday for our Bare Knuckle Cask Strength Release!